If you love apples and you love caramel, put them together and have a real treat when you visit us at Tanners Orchard. You’ll find these tasty creations in our very own Apple Bin Bakery. While here, pick up some cider donuts and fresh pies to round out your visit. When you visit Tanners Orchard, you can rest assured you’re getting everything fresh and homemade. 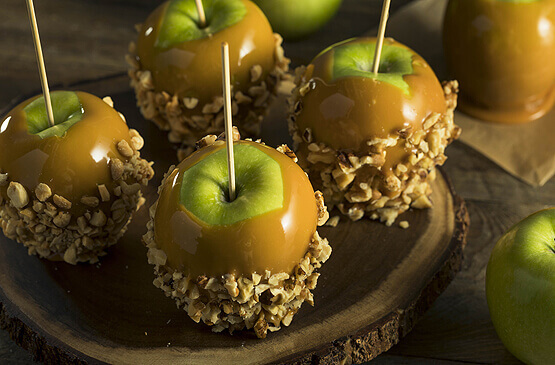 Made with an old German caramel recipe from 1975, our caramel apples are to die for. We cook the caramel for 45 minutes until the mixture resembles a velvety texture. We then hand dip each apple into the warm caramel and roll it in crushed nuts. Or, if you prefer, we do have some plain caramel apples to try. Last year alone, we made 51,000 caramel apples! Now in our 70th year, we are your destination for family fun. Come pick some apples, enjoy a free sample of our apple cider in the Farm Market or pick up a few caramel apples to enjoy from the Apple Bin Bakery. Of course, you can also treat yourself to some of our fresh baked pies, fudge and even a wide range of lunch choices like sandwiches and wraps. 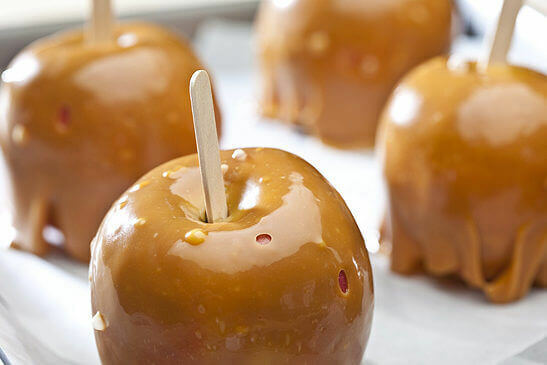 October 31st is National Caramel/Candy Apple Day. Caramel apples originated in Arabian cuisine. Apples were candied to preserve their flavor. For decades, Americans have been enjoying caramel apples but we also enjoy apples covered in red candy, chocolate, nuts and popcorn. Tanners keeps it simple by offering caramel apples with and without nuts. The first caramel apple machine was invented in 1960. If you can’t resist the area’s best caramel apples, come see us in the Apple Bin Bakery at Tanners Orchard. Grab some fresh apple cider to go with them as well! Contact us at 309-493-5442 for our hours or email us at tannersorchard.com.